Dr. Milnor is a certified Invisalign® Preferred Provider and recommends it to a large number of her patients. If you want to change your smile or bite but don’t want braces, you should definitely consider Invisalign. 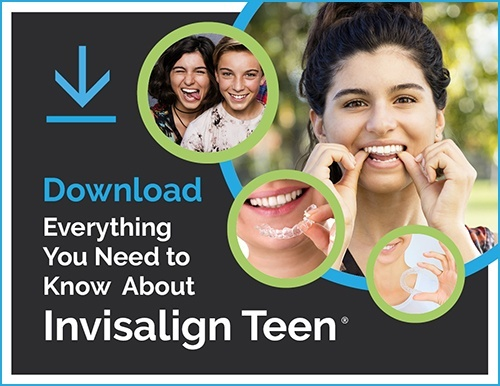 Invisalign is an orthodontic treatment system consisting of a series of clear, removable, and comfortable aligners that are virtually invisible. You wear each set of aligners for about two weeks, removing them only to eat, drink, brush, and floss. As you replace each aligner with the next in the series, your teeth will move more and more until they have straightened to their final position. You'll visit us about once every 6-8 weeks to ensure your treatment is progressing as planned. Total treatment time is typically 9 to 20 months. Invisalign requires fewer lifestyle changes while getting your beautiful smile. Not only are the aligners invisible, they are removable, so you can eat and drink what you want. Plus, brushing and flossing are exactly the same. The aligners are comfortable, with no metal to cause mouth soreness during treatment. No metal or wires also usually means you spend less time in our office getting adjustments. And with Invisalign, you can view your own virtual treatment plan and see how your teeth will look when the process is complete. Several versions of Invisalign exist, and each is designed to provide a different level of treatment based on your orthodontic needs.